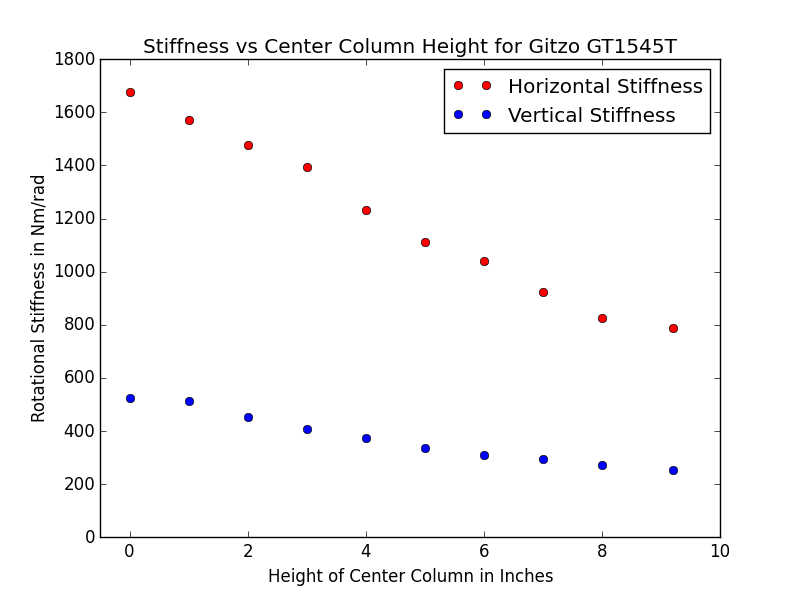 In a previous post, I looked at the stiffness vs center column height for the Gitzo GT2542 Mountaineer. Here, I am going to do the same thing for the Gitzo GT1545T Traveler. 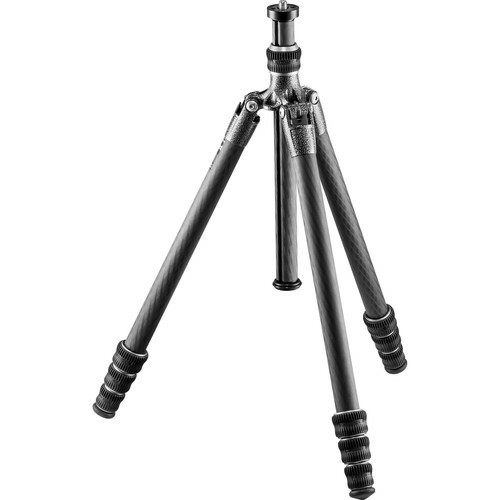 The amount of stiffness lost by raising the center column should vary between tripods, most notably with the diameter of the center column. Because the added torsion of the center column reduces the overall stiffness of the system, we should expect larger diameter center columns to have a less detrimental effect. I will be testing center column stiffness in the manner of this post sporadically as it is time consuming, and would be inefficient to do so for every tripod. These results are similar to the GT2542. The GT1545T loses a little over half of its stiffness about both the axial (horizontal motions) and radial (vertical motions) axes. Center columns can be incredibly useful, but if you want a tripod to shoot 100% of the time at a particular height, you are better off just getting one whose apex is at that height. Manfrotto MT190CXPRO3 and MT190XPRO3 test results posted.